Sign up for Broadjam today to follow Megan Dooley, and be notified when they upload new stuff or update their news! Born and raised in Kalamazoo, Megan Dooley has been performing in Michigan and surrounding areas for over 14 years. Steeped in rich American roots music that bursts with a modern attitude and soulful inflection, Dooley captures audiences whether performing solo or leading a full band. 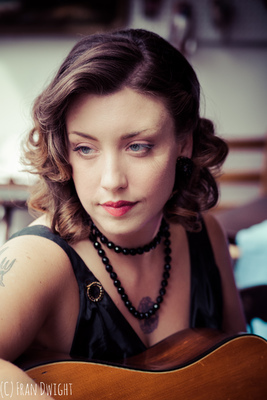 Her rich, gritty, and powerful vocals weave between punchy rhythm guitar, eloquent banjolele and uke, and a "whistle as pure as birdsong, expressed with great aplomb." to create a musical experience all her own. Dubbed "The First Lady" of the Kalamazoo music scene by Revue Magazine in October 2013, Megan Dooley is a Michigan performer that is not to be missed.